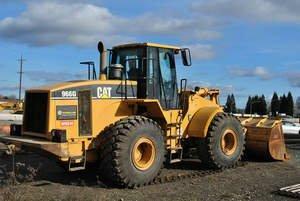 SAN FRANCISCO, CA--(Marketwired - Jun 12, 2014) - Yard Club continues to grow its online peer-to-peer equipment rental service, helping contractors maximize the utilization of their heavy equipment fleets. The service allows contractors to safely earn income on idle equipment by renting to other area contractors on either a bare or operated basis. Owners earn income on idle equipment while continuing to provide their operators with work, and renters save money relative to traditional equipment-rental companies. The program has attracted the attention -- and capital investment -- of major tech-industry entities and well-known investors such as Andreessen Horowitz (Silicon Valley-based venture capital firm) and Michael Dearing (a former eBay executive). "Our goal is to put millions back into the pockets of US contractors," says company founder Colin Evran. "The construction industry is extremely competitive with average operating margins around 3%. If you own equipment, it requires large up-front investments with no guarantee you'll use it every day. With Yard Club, owners are now generating income on idle equipment while renters save on outside rentals." Yard Club, noted Evran, takes care of the entire process -- from scheduling to contracts to payments. All members and pieces of equipment are pre-screened, and the company enforces liability coverage and insurance requirements to mitigate risk. Members rent and lend equipment via a private web portal, where dispatchers browse through photos and descriptions of available equipment and submit orders. Confirmations come via text or e-mail. Evran added that a new mobile app for iPhone and Android allowing members to manage their equipment while in the field will be launched shortly. "We use Yard Club frequently," says Mike Haley, resource manager with Oakland, Calif.-based heavy-civil contractor McGuire & Hester. "You rent from trusted, reputable contractors that you know within the area that have quality equipment. Contractors using Yard Club are getting utilization on their equipment, and we are getting lower rental rates from Yard Club than we would from outside rental companies. It's a win-win for everyone." Yard Club currently operates in Northern California. Future plans include expanding into Southern California in the next few months, and other cities throughout the U.S. in 2015. For more information, contact info@yardclub.com.